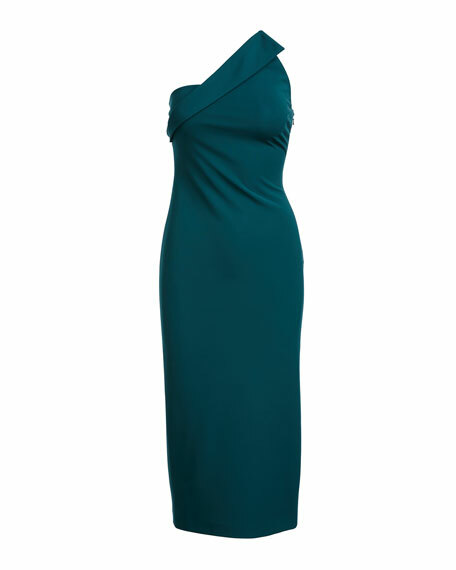 Cushnie et Ochs "Sandra" dress in light power viscose. Asymmetric one-shoulder neckline with fold-over detail. For in-store inquiries, use sku #2217804.